Fortunately for me, I personally choose not to have individual clients and that comes from years of experience of dealing with them and also a personal choice of not to trade my time for money because, quite simply, I only have twenty-four hours each day. I appreciate that the vast majority of people I speak to do have personal clients, and in the same way that staffs can be a pain at times, clients can be a pain at times and quite often it’s just one, you know, like everyone else is wonderful and it’s just one. So, it is very important to set boundaries and to set rules from the start. The odd thing is that those people will respect you more for you organization and professionalism, now, because quite a few. So, for instance, Jennifer, who organizes virtually everything here at Marketing for Owners and keeps me on the straight and narrow — her husband is a carpenter and he get clients that ring him at all hours because he has adverts and of course he has his phone number out there. People have no respect for his time, so, he had to put in his adverts he is only available from hours between this and that, to make it clear to people but, I’m pretty sure people will still try to ring him all hours, especially those clients who feel they are a little bit more important than anyone else. Yeah, we’ve all got them. 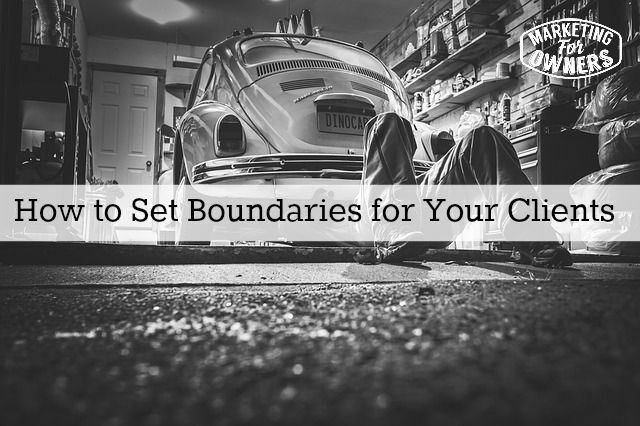 So, this is my advice to you in to how to set the boundaries with your clients. Now remember when you’re setting boundaries, first of all, recognize the problems. You have to decide what are the problems? What are people doing? Is it contact times? Are people calling you on Saturday night, when you are at home watching a movie? Is it that you deliver a certain amount of work for people or perhaps a web-designer and just as you’re the finishing the web-design they say “that’s fantastic” and just have a thought “On that page, can you just”. . . So, if someone is entitled to an hour Skype phone consultation with you, during this time you need to explain to them there is the extra research and the emails and the reports afterwards that they need to be paying for — that it is not included in the initial session. So, figure out what are the problems. Write them down, don’t just think them in your head — be sure and write them down. The next is write out your standards, and decide on each of those points. What are your standards? What is your kind of policy for contact times and for emergencies, if you are in some sort business where people could have emergencies and want to get hold of you? Also, in contact, write down expectations as to how long it would take you to reply. A lot of people expect an instant reply especially when they email you, perhaps when you say ‘Within 24 hours’ or something like that but decide, make a decision something that works for you that’s going to work for you clients but most importantly it works for you, and makes sense. Then, communicate these to your clients, politely. As I said in the beginning. It is very important when you get a new client that you explain this at the very start. Start as you mean to go on. I have a family, I work from home but I need to choose to work certain hours because I choose to spend a special time with my family when I promised them I am not working and taking calls. Who is not going to understand that and if they don’t, do you want them as clients? Then, as I pointed out, enforce them from the very start. A lot of clients will listen to what you have said, perhaps read it, perhaps not and then they will decide to set their own rules. They will say, like I said before, they will think they are slightly more important than anyone else and this doesn’t quite apply to them because this is urgent. So, enforce those rules. Don’t let a couple slide because the third time when it’s gets annoying then you start to enforce it, they say “well, it’s never been a problem before, what’s the big deal?” Enforce it, start it as you mean to go on, really important that. Then, finally, be consistent. Do not allow one all for one, another rule for others. People will find out. What do you say when someones says “Well, I spoke to George and George said this never was a problem. So, what’s the big deal?” Because that makes clients feel inferior and make George seem more important than the other clients are, that’s not good. So, you need to be to consistent. It’s very similar to parenting. If you look at clients as children, they need a strong parent, so for instance, meal times are decide by the parent; breakfast, lunch, dinner at certain times. If you let your children decide, they won’t eat, they’ll be eating at the middle of the day, they’ll be eating what they like etc. It’s the same with clients –if you let the client decide then you will have chaos. If you start it should mean to go on. You’ll have great clients. They’ll respect you more. This is what a lot people hard to understand, they will respect you more for it. So, please be polite. They’ll like you, don’t you worry, be polite and explain how the relationship works. They’ll appreciate the transparency, trust me I’m a doctor, well I’m not but you know what I mean. It is Tuesday, so it’s time for toolbox tip. Today, is what to use on your mobile phones. It’s called Instacollage’. Collage as in putting a bunch of images together. It’s free to download and is a great resource for your business. 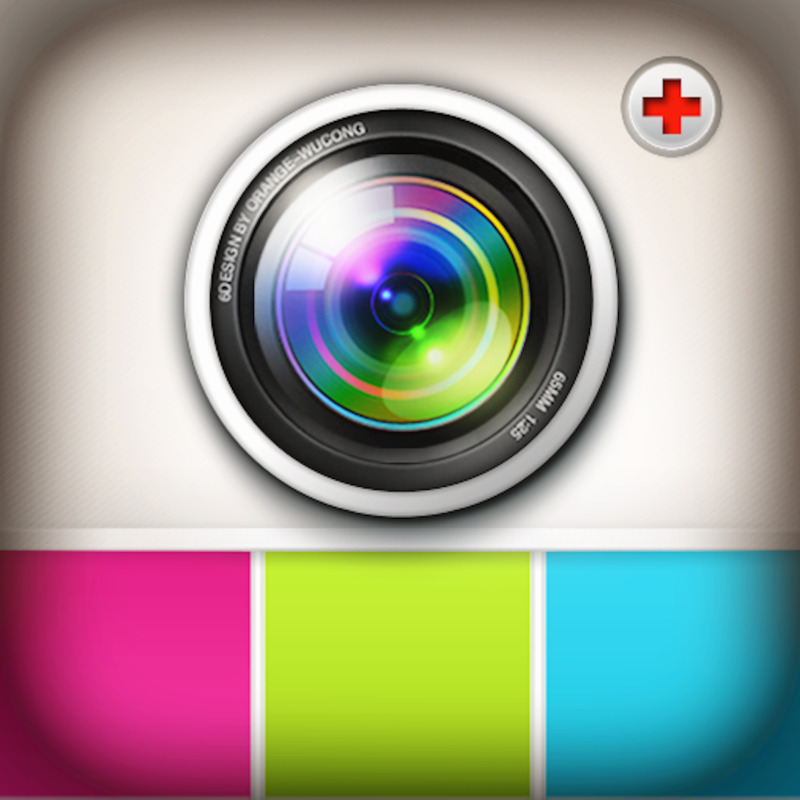 ‘InstaCollage’ enables you to put a bunch of photos together into a collage. Of course, it’s obviously based for Instagram users, wonderful but you can put them on twitter, on Facebook, on anywhere and it’s clever. The thing that I like about it is that it would appear to be complicated because you can decide on a grid, a shape of whether you want three images, four equals ones, you can define the border-width between them, you can define each individual images and more. You can choose a filter for each individual one that you upload, you can twist images, you can change colors and you can put titles and text on, and frames and all sorts but it all sounds complicated. But I was and I am quite useless with these type of things. I was able to use it intuitively from the start. It was very easy. The first time I used it I seem to remember it was on a trip from the airport to Disneyland in LA and we were stuck in traffic, lots of traffic for a long time and it took me five minutes to get a hang of it. It’s dead clever. ‘InstaCollage’, try it. You will be impressed. You will be able to impress your friends. I’ll speak to you tomorrow.